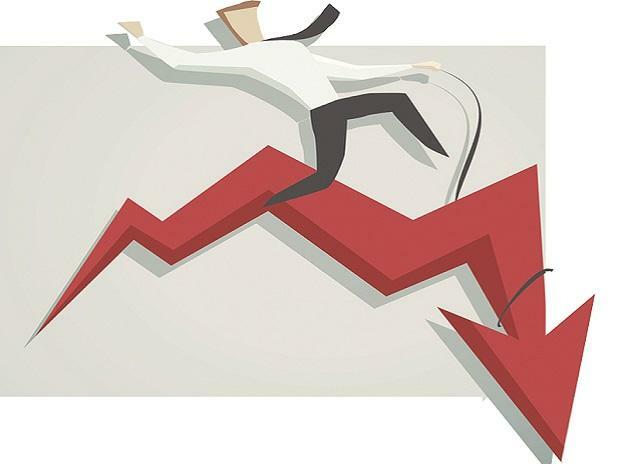 Shares of mid-cap companies were under pressure with the S&P BSE MidCap index hitting a four month low of 13,863, down 2 per cent on the BSE after a decline in pharmaceuticals, financials and consumer discretionary goods & services stocks. The index hit its lowest level since October 26, 2018, was 2.3 per cent away from its 52-week low of 13,539 touched on October 9 in intra-day trade. At 12:50 pm; the S&P BSE MidCap index was the largest loser among broader indices, as compared to 1 per cent fall each in the S&P BSE SmallCap and the benchmark index S&P BSE Sensex. Among the individual stocks, Page Industries, Glenmark Pharmaceuticals, Sun TV Network, Indian Bank, Divi’s Laboratories, Biocon, United Breweries, Bank of India and Wockhardt from the midcap index were down in the range of 4 per cent to 9 per cent on the BSE in intra-day trade. Meanwhile, Bharat Forge, Godrej Agrovet, Natco Pharma and Tata Chemicals from the index hitting their respective 52-week lows today. Shares of Glenmark Pharmaceuticals too dipped 9 per cent to Rs 555 after the company reported a lower than expected growth of 11 percent in net profit at Rs 116 crore in December 2018 quarter (Q3FY19) over the previous year quarter. Analysts on an average had expected a profit of Rs 238 crore for the quarter. “EBITDA (earnings before interest, taxation, depreciation and ammortisation) margin expanded around 210bp year-on-year (YoY) to 15.5 per cent due to higher gross margin and lower employee expense; partially offset by higher other expense. Despite healthy EBITDA growth, PAT increased at a lower rate, probably due to forex loss in the quarter. The company had negative other income of Rs 64 crore for the quarter,” Motilal Oswal Securities said with a ‘neutral’ rating on the stock. Shares of Page Industries were slipped 9 per cent to Rs 21,899, extended their Thursday's 2 per cent fall after reported Q3FY19 results. After two quarters of dismal performance, the Indian maker of Jockey men’s and women’s innerwear clocked 18.9 per cent rise in net revenues to Rs 738 crore, and 22.2 per cent growth in net profit to Rs 102 crore in Q3FY19 quarter, compared to the year-ago period.